The thin fire-retardant T-Shirt offers excellent breathability without sacrificing protection. TraqGear’s handsome line of motorsports-specific fire-retardant racing underwear is the lightest, most breathable SFI-certified underwear on the market today! 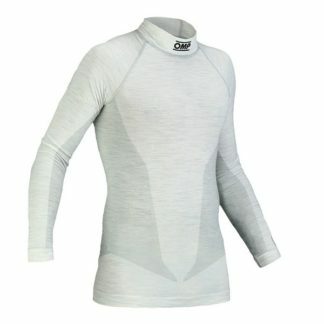 Engineered for maximum comfort, the TraqGear Race T features an athletic-cut with seams that are moved away from the shoulders for excellent wearability under racing harnesses. 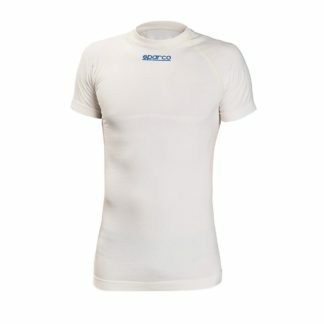 The moisture-wicking, anti-microbial material of the TraqGear Race T is designed to provide additional protection during the summer months when you’re most likely to scoff at adding additional layers. TraqGear’s affordable line of underwear helps provide protection without the heat-stress of traditional fire-proof materials! • Lightest Most Breathable Fire Retardant Shirt on the Planet!